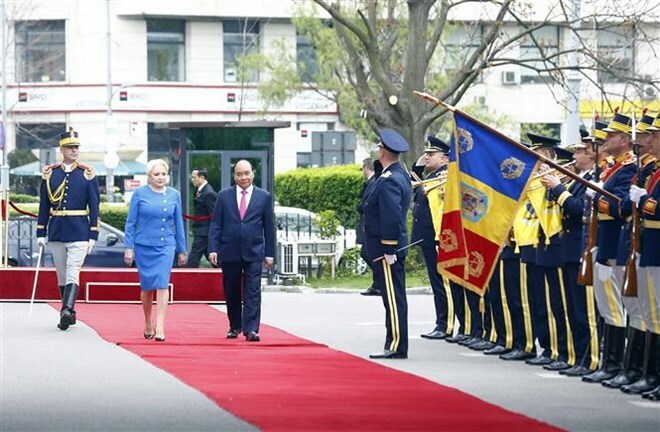 This is the first visit of Phuc to Romania as Prime Minister of Vietnam, and the first by a Vietnamese PM to the European country since 1977. As the two PMs were reviewing a guard of honour at the ceremony, PM Phuc said in Romanian “Buna ziua Soldati” (Good morning soldiers). 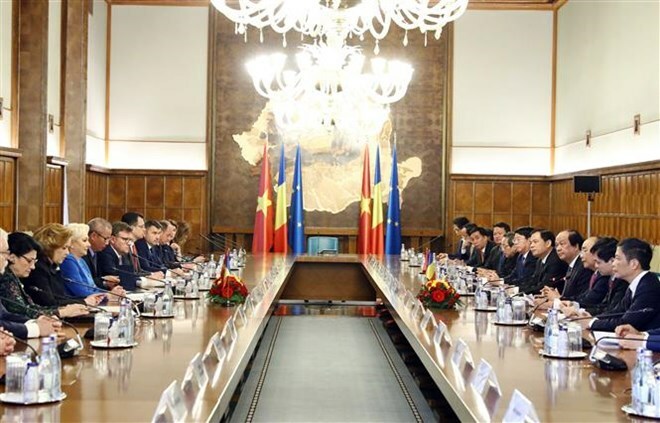 The official visit to Romania by PM Phuc looks to open up opportunities for Vietnam to gain Romania’s support in the ties with the European Union (EU), especially in pushing for the signing of the EU-Vietnam Free Trade Agreement (EVFTA) during Romania’ rotating EU Presidency in the first half of 2019. Besides, the visit also looks to step up the two sides’ coordination at international forums and build plans to prepare for the 70th anniversary of their diplomatic ties.